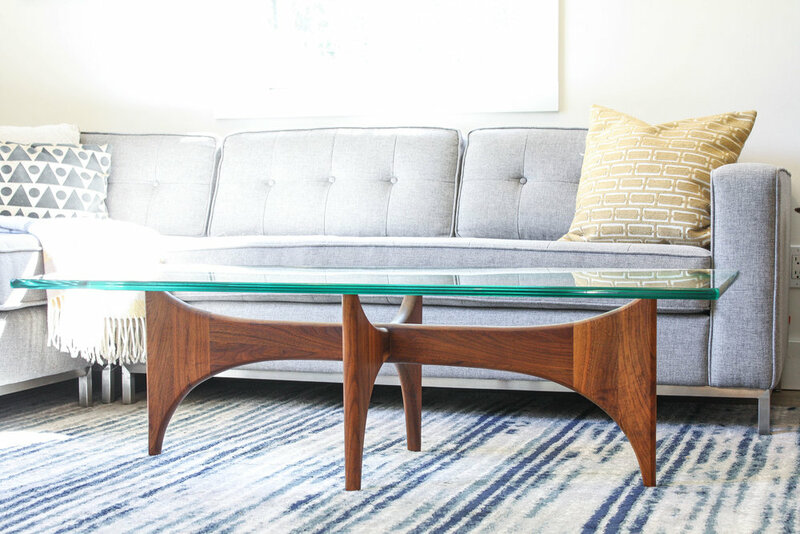 Offered is a Mid-Century Modern Model 2399-TC coffee table. It was designed by Adrian Pearsall for Craft Associates in the 1960s. It has a solid walnut interwoven base and a removable glass top. The table is in excellent condition and only shows very minor signs of use. Extra thick 1” glass top is in amazing shape with no chips or easily noticeable issues. The perfect statement piece for your living room.